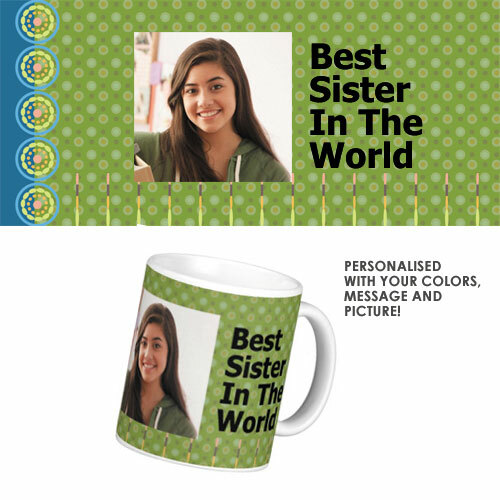 Celebrate your special bond with this personalized mug for your sister! 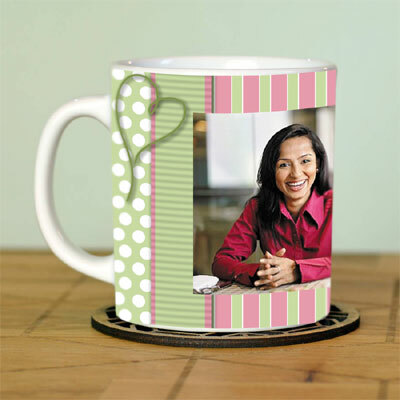 The high-quality mug with permanent prints of your picture and text is a wonderful gift for her on any occasion. The picture clarity was really good! :) Overall well made! The quality of product is very good and it delivered in just 24 hours. I am very happy with this website and gonna use this very often. Just received my order (Best Sister Mug). Quality is super fine. I am really very very happy. 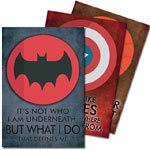 This is my 2nd shopping experience with you guys within a same week and I am glad that I had visited your site. Thankyou EL Team, for delivering the item on desired date. 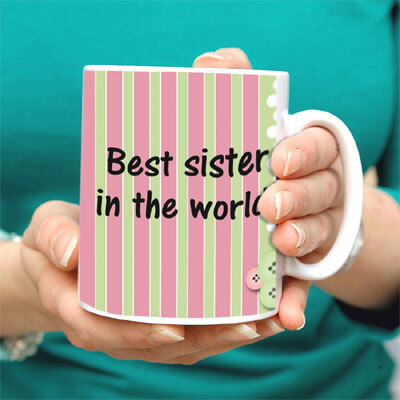 I gifted this best sister mug to my elder sis. she was really very impressed after getting this. she liked it very very much.:).. One of the best product via ExcitingLives.com! 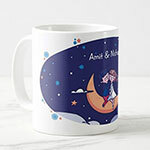 At reasonable price I got a good quality mug which my sis really liked..
Sir,The product was good but when it is delivered the handle of the best sister mug was broken into 4-5 pieces due very poor packing. it was on time but unfortunately the postman couldnt find out the address so quickly! thank you for your services cheers! !